Logiforms has the most flexible and advanced binding and calculation syntax on the market. And it is still so easy to use, anyone, can do it. 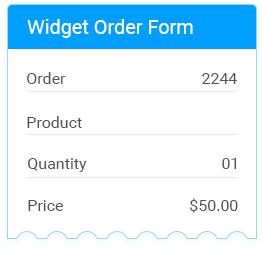 It's simple to build calculations for your order forms using the Visual Binding Editor. 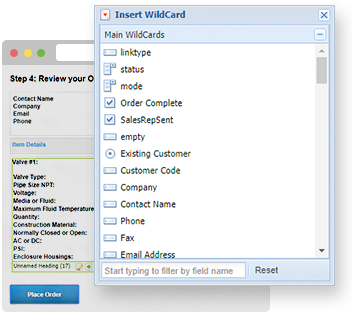 Simply select your field wildcards and hammer out complex calculations quickly and easily. Mirror a field value from one field to another or show a previously entered value in a text element. This feature can be used to show an order summary or to remind the visitor what they entered previously. Form Bindings have unlimited potential. Our IF/THEN/ELSE syntax is simple to use but extremely powerful and effective. You can create complex logic for your Form Calculator using only a few commands. 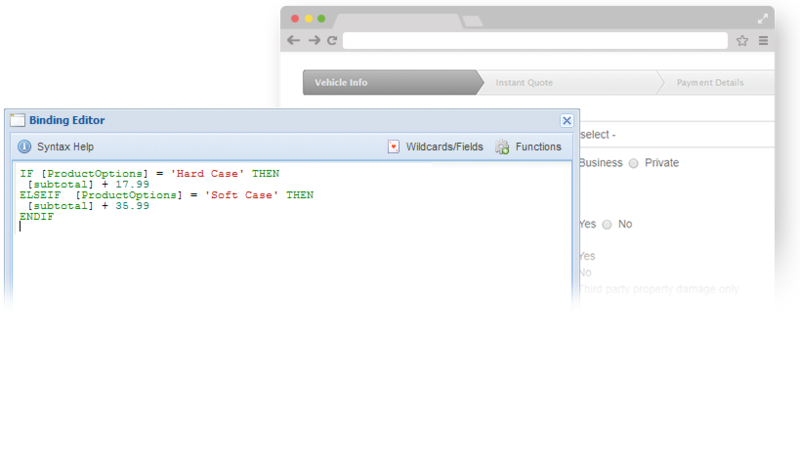 For the advanced users, WildCard Modifier functions let you perform all kinds of advanced conditional evaluations and formatting. For example, you can calculate the number of days between two given dates, calculate Mean, Average, Mode, convert a field to upper case and much more.